My orchestra, the Berlin Philharmonic, was on a tour in Europe. I wasn’t needed for this tour so I stayed home. A member of my horn section called me up and excitedly told me that their Lufthansa pilot was a horn player and that I should interview him. This was a year ago and I’m really happy and proud to finally be able to do so – David Schubert, pilot and also a great horn player, is featured in this episode and it was so much fun playing a duet with him in the airport hangar! 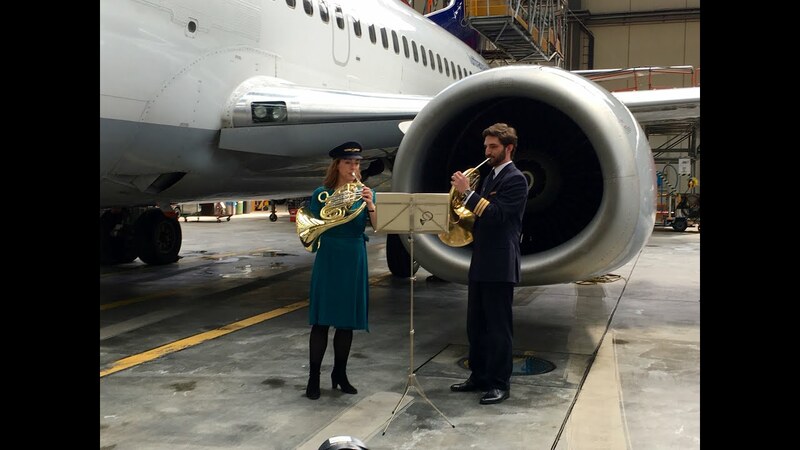 Thanks to David I found out about the Lufthansa orchestra- an orchestra made up of pilots, flight attendants, technicians, office workers and many more, all who love playing their instruments in their spare time and who get together for 2-3 special concerts every year. I absolutely loved spending the weekend with these infectiously enthusiastic musicians, who all made me and my team feel so welcome. I was even allowed to play along for one piece in the concert! 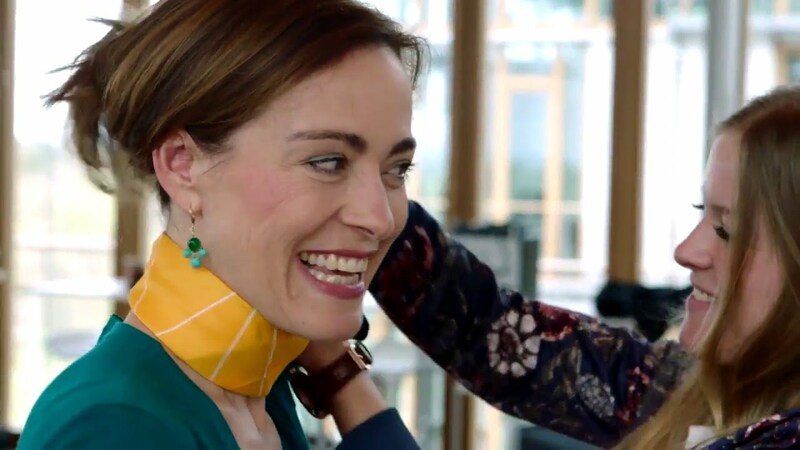 This orchestra is very special, as Mrs Simone Menne, patron of the orchestra and a member of the Executive Lufthansa Board, tells us in her interview. I think every single member of the audience at the concert in Langen would agree. There is nothing like the power of music to bond and move people, and what I loved most about this orchestra is that although they are all amateurs, it was still a really high standard and you could sense that everyone wanted simply to give their best and enjoy the occasion. A very special episode featuring a very special orchestra- thanks for letting us see into your world, dear LH Orchestra!